For years we had been enticed by the North Coast 500, an iconic and scenic 516 mile drive around the Scottish Highlands. 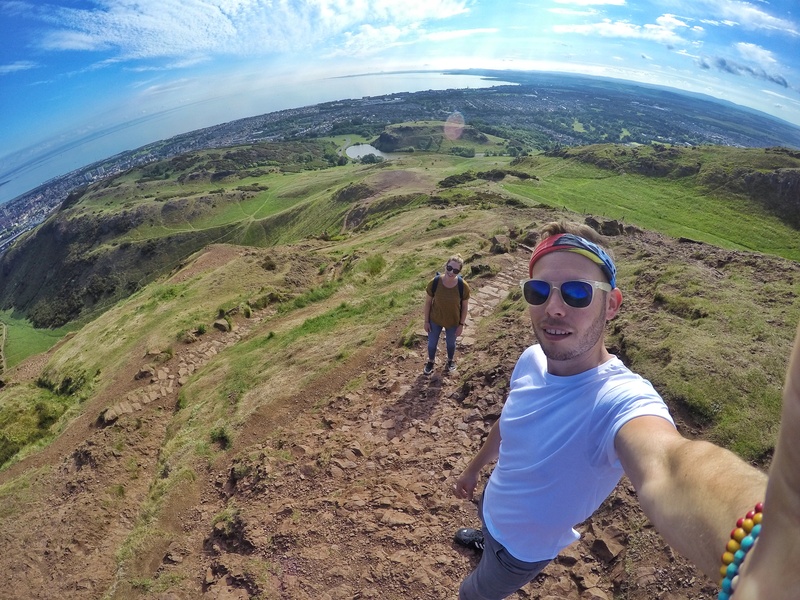 In the summer 2017, we finally decided it was time to make it a reality, and we embarked on an epic 12 day road trip around the highlands, starting and ending in the city of Edinburgh. 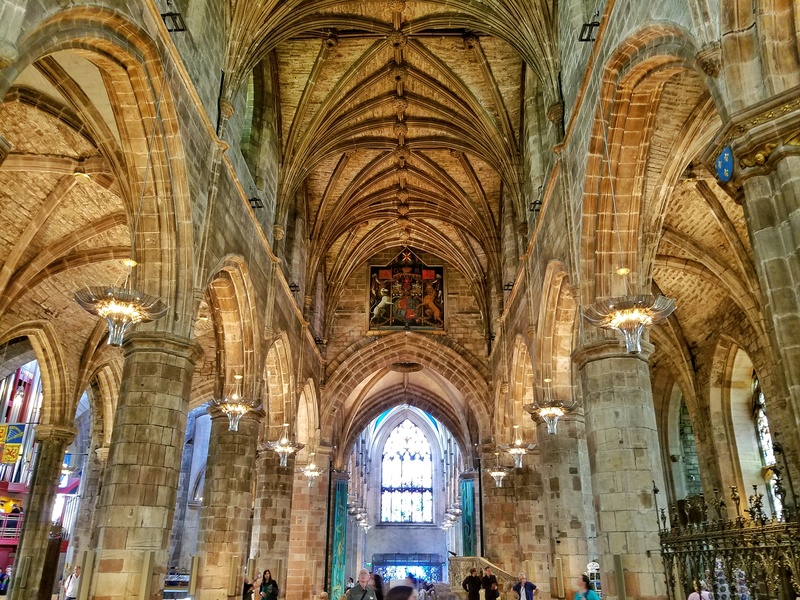 Edinburgh is typically the entry point into Scotland, and served as our introduction for our Scottish road trip. With a plethora of historical sites to explore, good hiking trails, and amazing pubs, it had everything we could possibly want in a city. 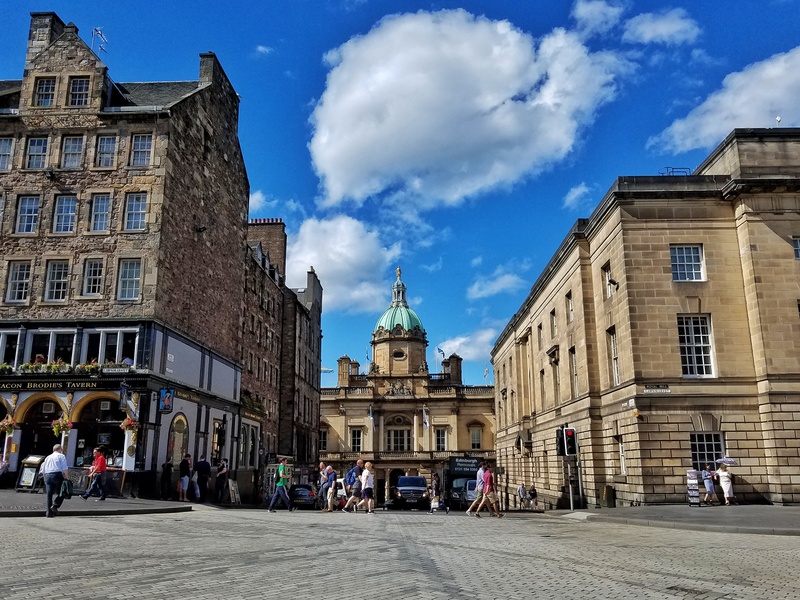 The main thoroughfare in the city, and the spot where we found most of the tourists is the Royal Mile, which starts from the impressive Edinburgh Castle and makes it’s way through the old town. There’s plenty to see and do along this stretch of road, but we found most of the charm in other parts of the city. 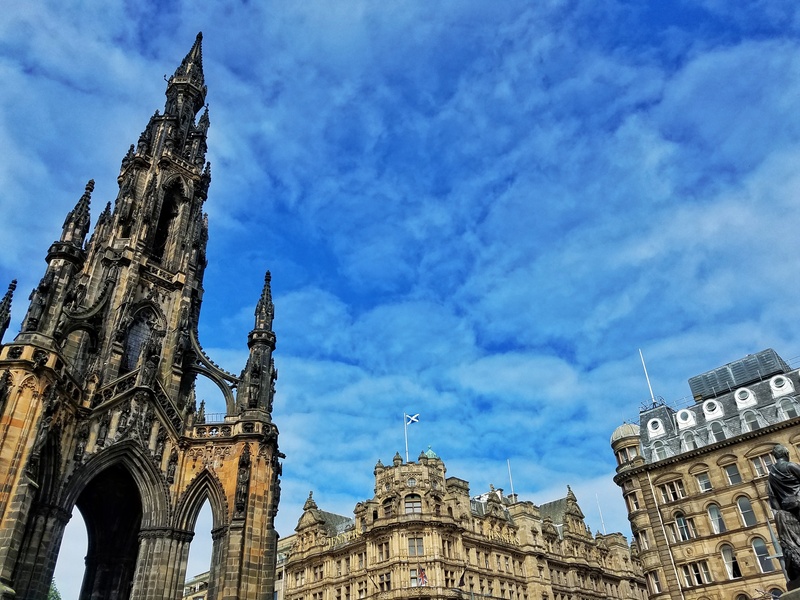 Built in 1840, the Scott Monument is a prominent feature of the Edinburgh skyline, and is the largest monument ever constructed for an author – Sir Walter Scott. We climbed to the top, with each lookout level becoming smaller and smaller, before reaching the tiny, almost claustrophobic apex to get some commanding views over the city. 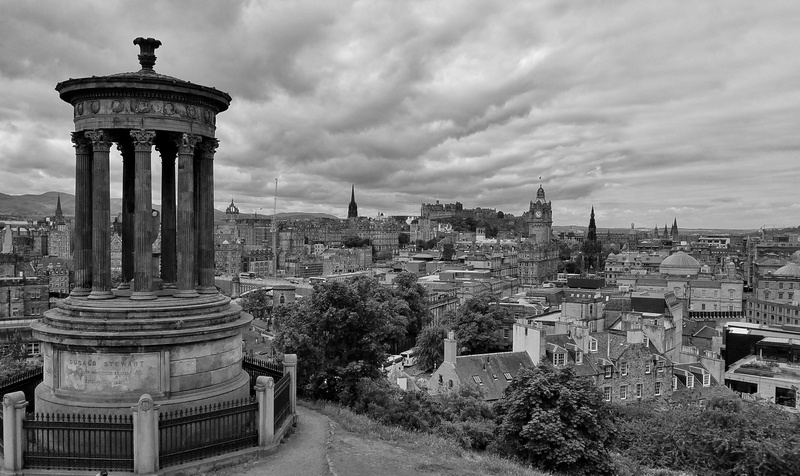 The defining landmark of Edinburgh, there’s no avoiding the sight of this hulking castle that looms over the city. 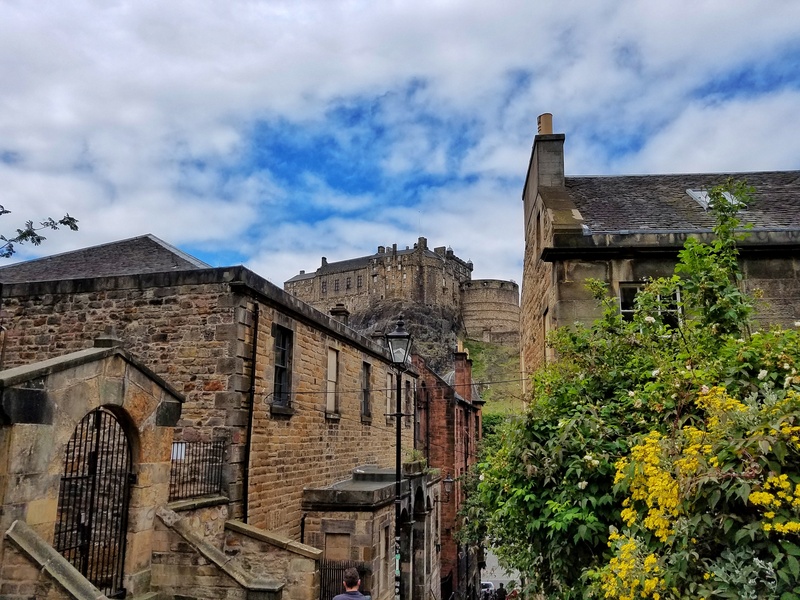 The crowds were thick here, but it was enjoyable to walk around the castle grounds, exploring the various rooms and features and learning a bit of the history of Edinburgh. Perched on a hill above the city, it was a bit of a hike to get here, but the views and architecture at this charming spot were amazing. 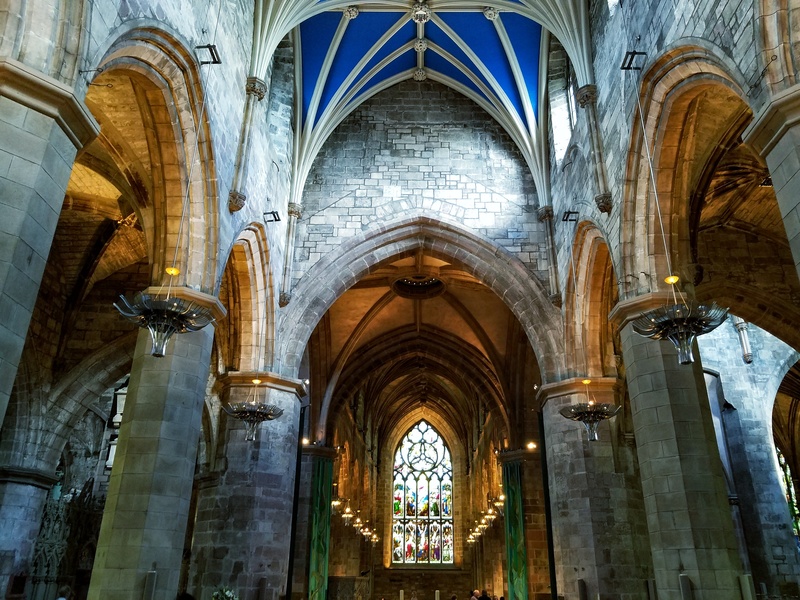 This is where to go if you want to get that iconic shot of Edinburgh. 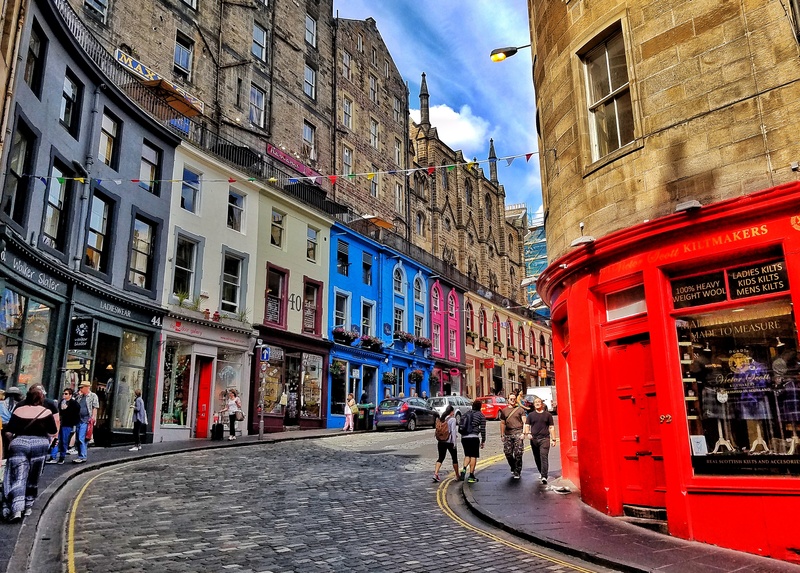 Probably my favorite part of Edinburgh, the Grassmarket District was a lively, colorful area, filled with bars, cafes, shops and restaurants. I was impressed by the colorful facades on many of the storefronts lining the street. The area lies directly beneath the castle, which provides a looming presence over the whole area. 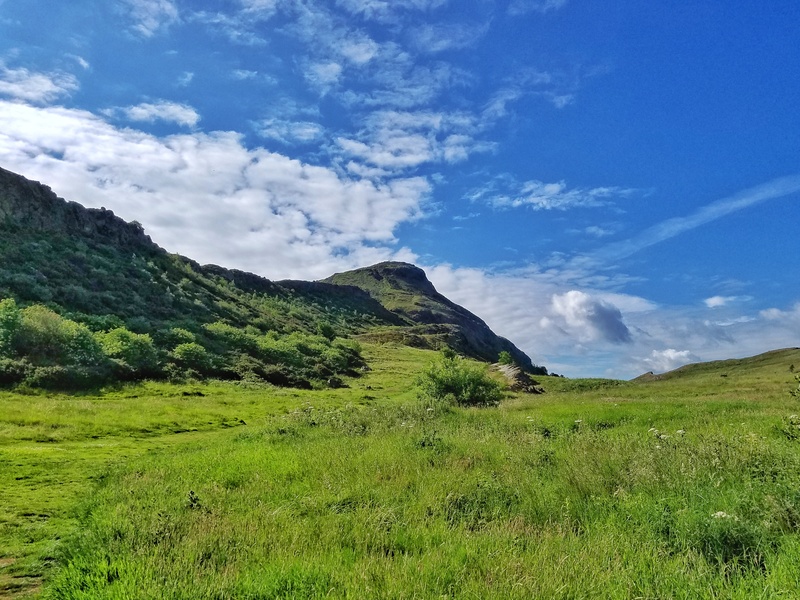 I found Edinburgh to be a great city for many reasons, but one of the main reasons was the easy access to nature, just a short walk to the outskirts of town. 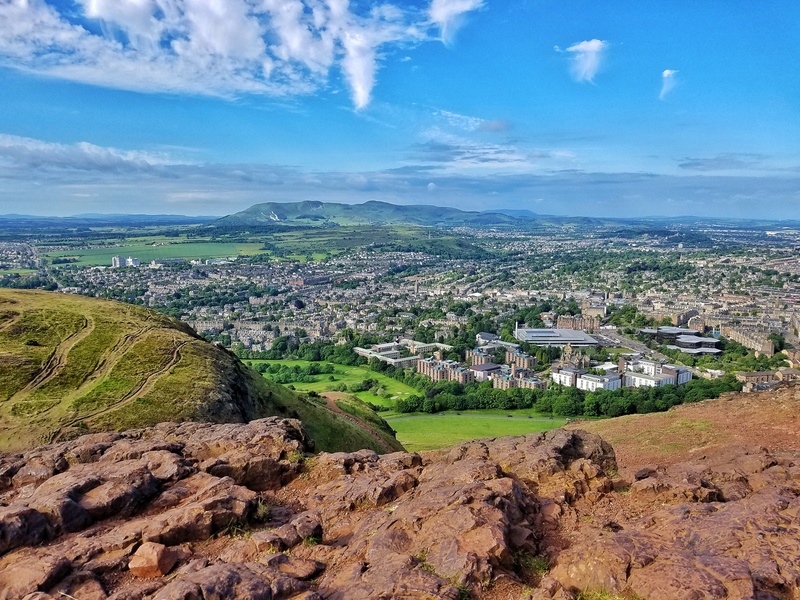 By far, the highlight of my 2 days in Edinburgh was the hike up to the top of Arthur’s seat – the mountain that sits at the edge of the city. Easily accessible, we spent no more than an hour or 2 hiking to the “seat” at the top, where it is rumored that King Arthur used to go sit and look out over his kingdom to ruminate on whatever was on his mind. Once at the top, we were treated to commanding views of the entire city, and being a clear day, we were able to see all the way off into the highlands and surrounding areas as well. The hike was not challenging, and I found it a great way to get in my morning cardio, complete with stunning views that stretched as far as the eye could see. This was one we had done no research on prior to the trip, and just decided to wander in, as it was located right on the Royal Mile. An absolutely beautiful church, with soaring ceilings, ornate stained glass and lots of history to go along with it all. 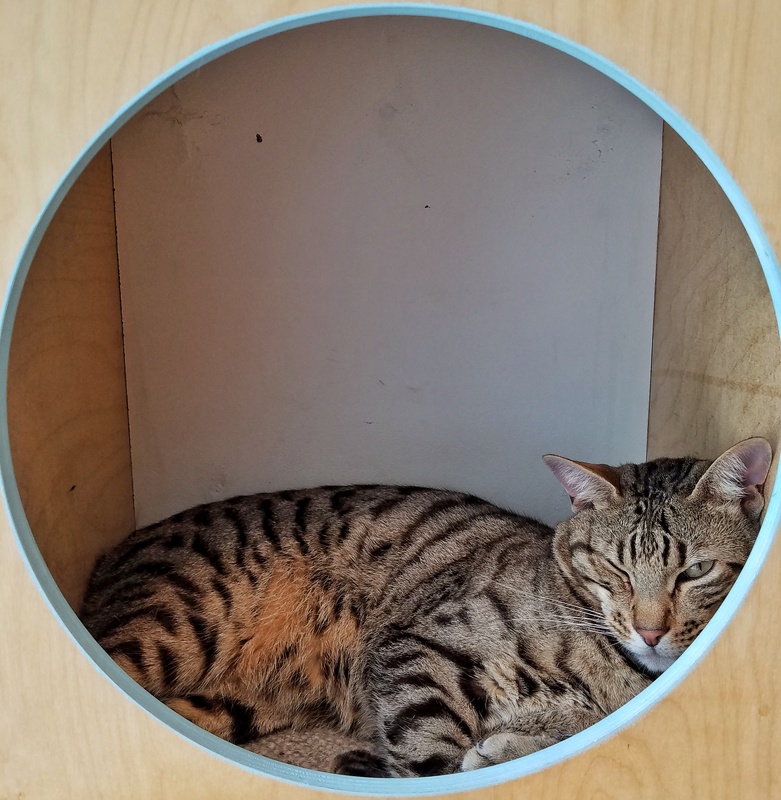 Being the cat lovers that we are, any time a city we’re visiting has a cat cafe, we’re sure to make some time for a visit. 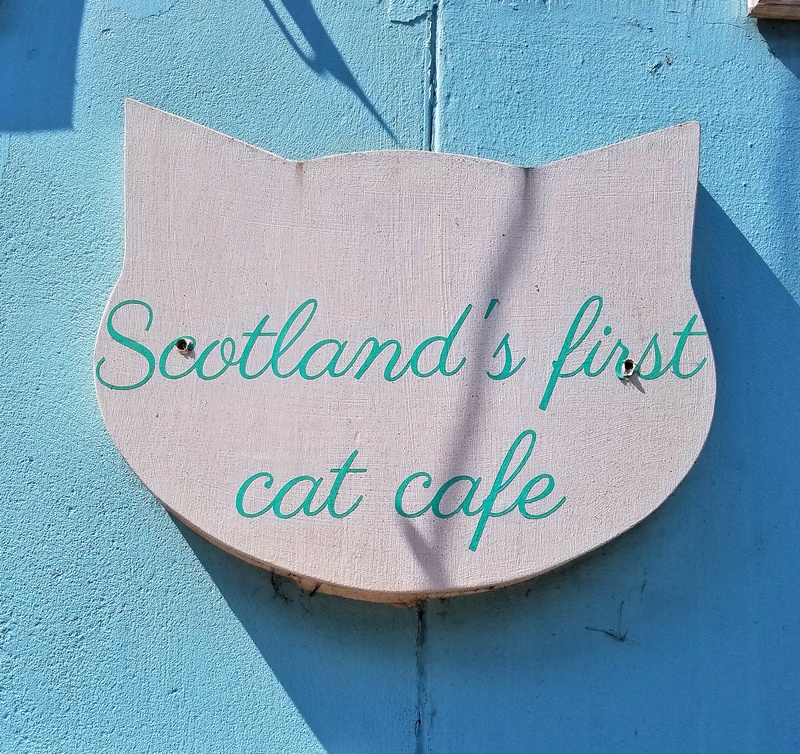 Maison de Moggy was located in the Grassmarket District, and was a great place to get in a coffee and meet the feline residents. After spending 2 days exploring Edinburgh, we picked up our rental car, and hit the road for our 10 day drive deep into the highlands. Thanks Alicia, it was a great start to our trip!